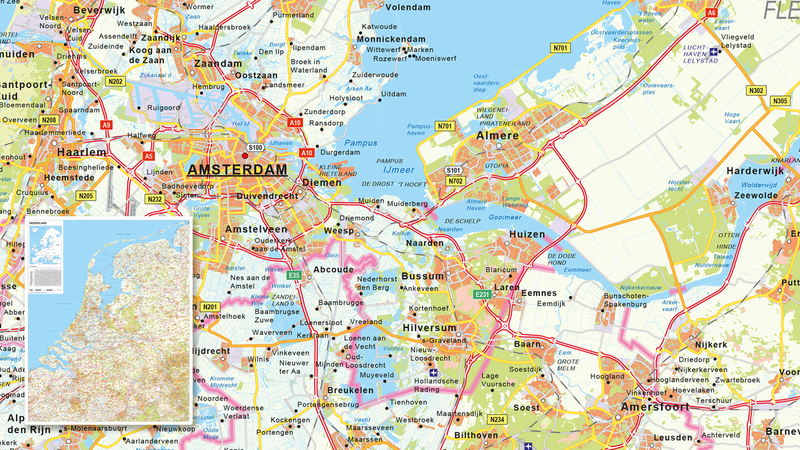 A good map for a logistics company simply shows the information that is needed. A logistical map could be a road map but also a postal code map if that is what they use internally. District maps and/or route maps with shipping costs or delivery time/data can also be very useful. A good logistics map gives insight into the process and saves you time and money. Visualising the text of a district map of a route can give you a bright and clear image. 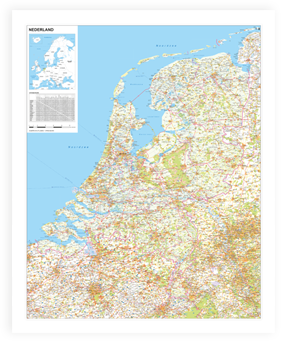 "Maps can give immediate insight as opposed to a few lines of text"
We sell standard digital road maps that we sell in our webstore that can be used as a basic map. Customised logistics maps often indicate district formats or focus on a particular area, with or without adding 2, 3 or 4 digit postal codes. This can then be combined with different types of roads. Logistics maps can be made for any kind of area, including a county, country, continent or even the world. 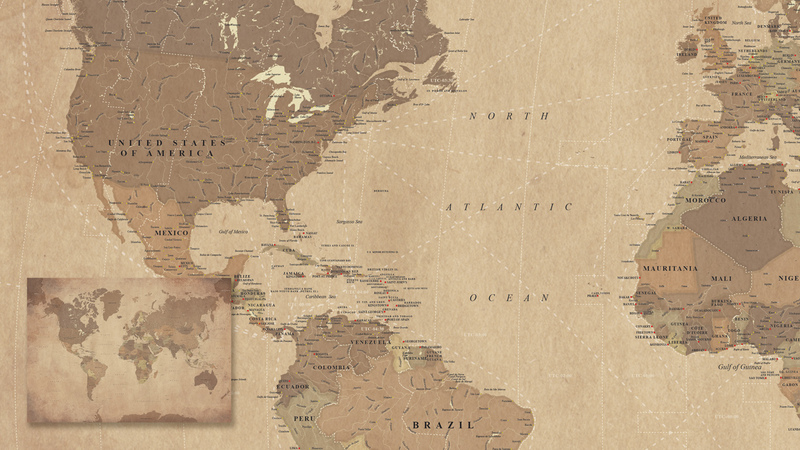 We have recently created a world map with the largest active sea routes for a shipping merchant. The most important part of a map is the actual function of the map. The rest is secondary and therefore has less priority. In consultation with our experts, we can get you out to a good start, and determine your priorities. Once these have been clarified, a price indication will be given with a few map samples. If there is an agreement on the price, there will be frequent contact until the last alteration has been made, including digital analyses. The map will then be sent over with the agreed upon specifications.